Rigorous Lent L009: Are You Spitting in Our Lord's Face? BeautySoAncient April 2, 2019 April 5, 2019 No Comments on Rigorous Lent L009: Are You Spitting in Our Lord’s Face? After our Lord was arrested in the garden of Gethsemane, he was brought in front of the authorities. 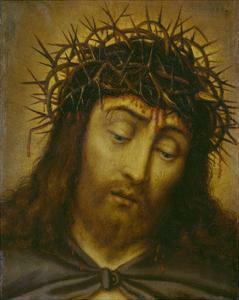 They flogged him and put a crown of thorns on his head. They mocked him and spit in our Lord’s face. Do you know that we spit in our Lord’s face every day – sometimes unintentionally, but sometimes with full knowledge? Possible ways of “spitting in the face of Christ”.